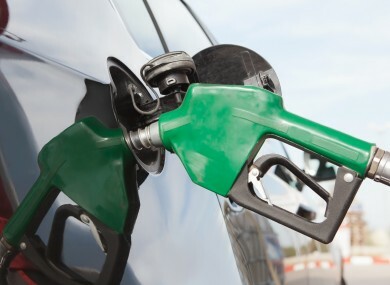 AA IRELAND HAS reported that the average price of petrol and diesel has fallen in the last month. Petrol now costs on average 158.1 cent per litre, a 3.9 per cent fall since April with diesel falling by 4.9 per cent to an average of 148.9 cent per litre. AA director of consumer affairs Conor Faughnan said it was “obviously very good news for Ireland’s motorists” but said that fuel costs were still “a long way from a satisfactory or reasonable level”. He claimed that 57 per cent of the retail price of petrol is in taxes paid to the Exchequer. “We have gone from being relatively benign in comparison with our European peers to being very expensive, a fact that hits Irish business competitiveness as much as it hits ordinary consumers,” he said. Faughnan added that Ireland’s “expensive annual car tax, 23 per cent VAT, extensive tolls, vehicle registration tax and a 5 per cent levy on all motor insurance” came in addition to expensive petrol for motorists. “Taken in combination this means the Irish motorist carries a huge burden. Although we argued successfully against making this even in worse in the last budget, the government did not make it any better,” he said. Email “The cost of filling your car fell last month”. Feedback on “The cost of filling your car fell last month”.